Please bring an actual, physical book for the show! Somewhere in the nice part of town on a regular night, after their Barre classes and upscale juice crawls, only two women bothered to show up to their book club meeting. 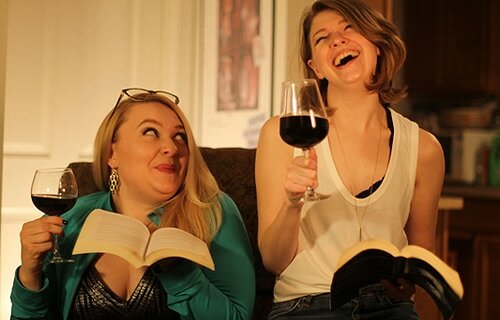 With little self-awareness, an entire bottle of wine, and an absolute lack of critical literary skills, these two must forge onward and hold their book club meeting anyway. Amalia and Alison have been performing together for 10 years. They met as members of the Dead Parrots Society improv club at Western Washington University, and have been dear friends ever since. They love long-form narratives, tricking people into crying at improv shows, long walks on the beach and off-dry reds.